Tourists have many reasons to visit Bonggakaradeng District. Most of them love its serene nature, though. It is part of South Sulawesi Province and it belongs to West Tana Toraja Regency. The main attraction is the green and wondrous mountains. The best destination is the highland. It features beautiful landscape and comfortable atmosphere. From the top of the hill, tourists can enjoy breathtaking views of nature and comfortable nuance. This place is suitable for both relaxation and hiking. Not to mention it is perfect for photography. As mentioned before, the primary feature in Binggakaradeng District is the formation of mountains. They come with different size and shape. Mostly, they are covered by green bushes and trees. At a particular moment, you are able to see clouds. Since it is a natural attraction, you won’t find many people nearby. Thus, it is recommended to come to the hill with a tour guide. As an alternative, hiring a tour agent is a good idea. Not to mention it is a worthy expense. Each region in Tana Toraja Regency has a unique attraction. Bonggakaradeng District is not an exception. In this location, you can take advantage of its nature. You may expect a savanna and mountains there. The best time for sightseeing is in the morning. It is because the clouds are seen clearly at that time. Apart from the beautiful landscape, tourists can observe the way of living of the locals. Most of these people work as a farmer. No wonder, you may find several farms and animal husbandries in Bonggakaradeng. The next thing to do is photography. Sightseeing can only give you an ephemeral experience. On the other hand, photography gives you an opportunity to capture beautiful objects in Bonggakaradeng District and keep them forever with you. In this case, make sure to carry a good camera. As an alternative, you can take advantage of a smartphone’s camera. Either way, it may give you good pictures. You only need to find the best spots to take pictures. Here is an idea. Why don’t you hire a tour guide? Some locals say Bonggakaradeng is the representation of nature. Not to mention it is a little bit secluded. No wonder, it doesn’t feature many facilities. The local government even promotes it as nature tourism. Hopefully, it can attract more foreigners to visit the region. Once travelers drop by in Bonggakaradeng, they can explore other tourist spots nearby. The accessibility is good in Tana Toraja Regency, after all. Different types of tourist spots are available and they are easy to reach. 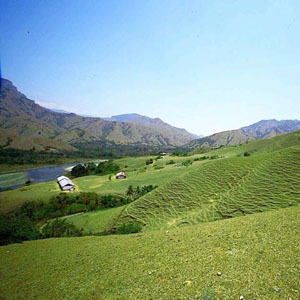 The main tourist destination in Bonggakaradeng District is definitely the hill. From Makassar City, the trip may take up to 7 hours and the distance is 300 km. The most common route to take is Poros Barru – Makassar Street. It is considered the fastest one, in fact. If you come from Jakarta, you must head to Makassar City first. In this case, your primary destination is Sultan Hasanuddin Airport.